The bank will also make almost one thousand pieces of art available to be used for public exhibition. AIB HAS SAID it is to donate 39 of its most valuable pieces of art to the state, including pieces by Jack B Yeats and Walter Osborne. The bank has also announced that it will make almost one thousand more artworks available for public exhibition. Minister for Arts Jimmy Deenihan has indicated that the artworks are likely to be held by the Crawford Gallery in Cork. Twelve artworks are being transferred to the state immediately, the bank said this afternoon. 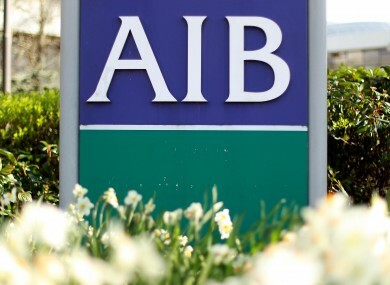 The move comes following discussions between AIB and Minister Deenihan, who praised the gesture by AIB as “exciting and deeply important”. He described the AIB collection as the pinnacle of “wise and knowledgeable connoisseurship” which will be a valuable addition to the national collection. “Over 30 years ago AIB set out to support the development of modern Irish art and the work of Irish artists and those who have made Ireland their home,” said AIB Chair David Hodgkinson. “We have worked with Minister Jimmy Deenihan and his office with a view to ensuring that the artworks of historic and cultural interest are preserved and made more accessible to the Irish public”. “By donating significant artworks to the State and making the wider collection available for loan, we are achieving these important objectives”. Email “AIB to donate 39 major artworks to the State”. Feedback on “AIB to donate 39 major artworks to the State”.